Former Vice President, Atiku Abubakar, has said President Muhammadu Buhari has lost a lot of goodwill and Nigerians will decide if he deserves to continue in 2019. Abubakar in an interview with Dele Momodu also boasted he will defeat Buhari in 2019. He said he decided not to wait and participate in the APC primary election because the party had become a one-man business and lacks growth. He said: “After Buhari won the election, he was no longer interested in the Party that made him President. Every activity stopped and not even the Party Chairman, Chief John Oyegun, could take any decision. “I called Chief Oyegun a few times to tell him our Party was dying slowly but he told me he would not do anything unless he got clearance from the President. At a stage, I gathered about 18 prominent members and began to meet in the hope that we can re-energise Party activities, but some people lied to the President that I wanted to use the forum to launch my Presidential campaign. That forum became simply dead on arrival. No BOT, no NEC meetings, as stipulated in our Constitution. 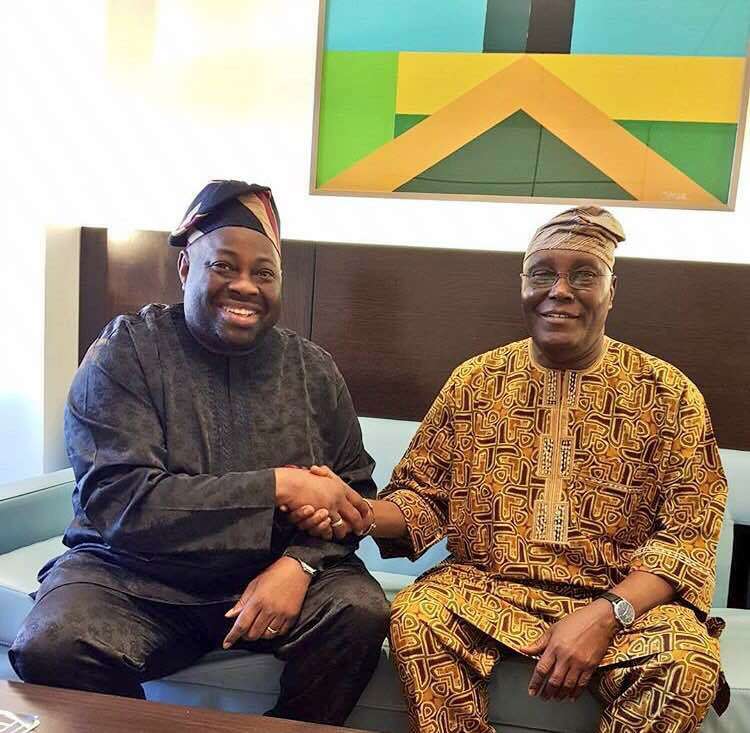 Asked if he was guaranteed of the presidential ticket of the PDP and would defeat Buhari in 2019 elections, Atiku said: “Nothing is absolutely certain in this life, but PDP needs a candidate with the brightest chance and that can only come from someone who has major experience, exposure, knowledge about running an economy, who is a Nationalist and not a sectionalist and whose brand cannot be intimidated in anyway by that of the current President. “I will definitely beat him this time. He has wasted a lot of his massive goodwill. A lot of people are disgruntled but keeping quiet and lying low. Our youths are suffering terribly and now they are being sold into slavery. Everyone knows my track record of inviting and attracting a good team and giving them the opportunity to work professionally. “Nigerians are tired of leaders who cannot think big and work big. Dele, I will be ready from day one.